*If there is an item not listed here that you would like to add, please message me. A beautiful collection of items featuring my herbal grab bag set, which is up for grabs in a giveaway this month- Find the link at the side of this page. Other items featured are jewelry, and lovely crochet items like the ones found at the curators' shopfyboutique. 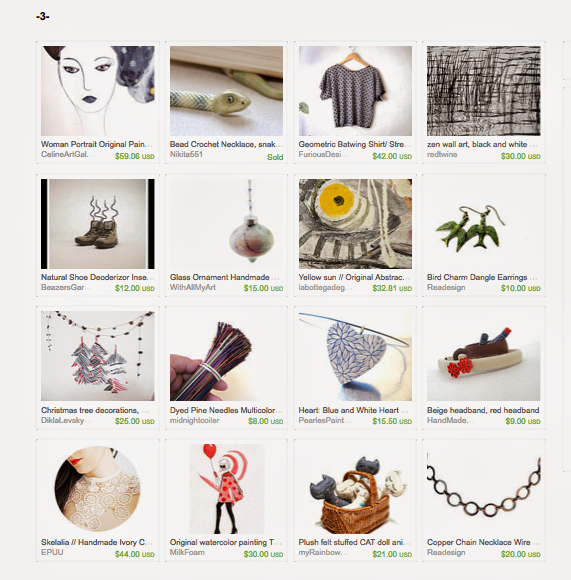 A strange collection of items in this treasury in greys with a dash of color. My natural shoe deoderizor inserts are featured. 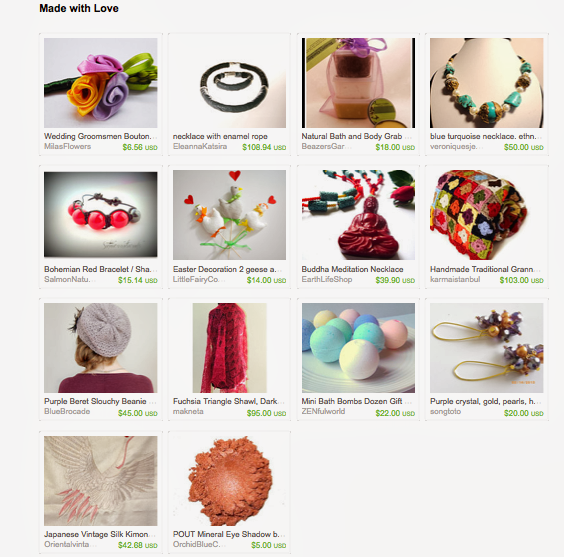 Curated by SudrishtafromSudrishta, a shop specializing in custom handmade bags and scarves. Check out her pages and tell her I said hi! 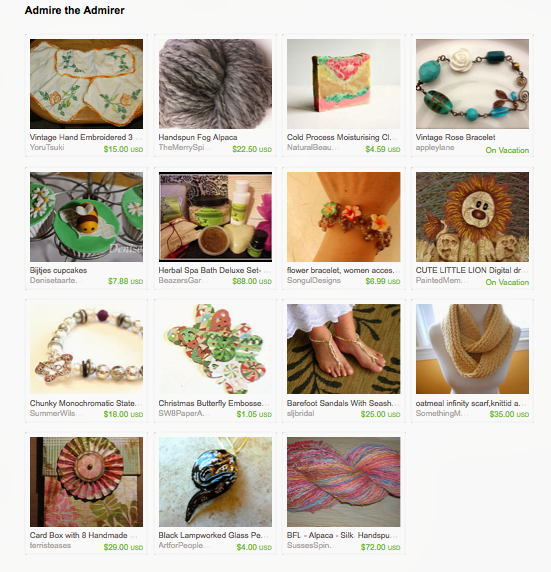 Admire these great items featured in this Etsy Treasury such as homemade cupcakes, jewelry and my Herbal Spa Bath & Body Deluxe Set curated by Cathy ErnstfromPassionKnitErnst Visit her pages and the other featured shops for gift ideas. Let's start off this Treasury Thursday on a light note.... Soak your feet in my herbal salts or milks featured in this Etsy treasury filled with lovely gift items in soft pastel shades. 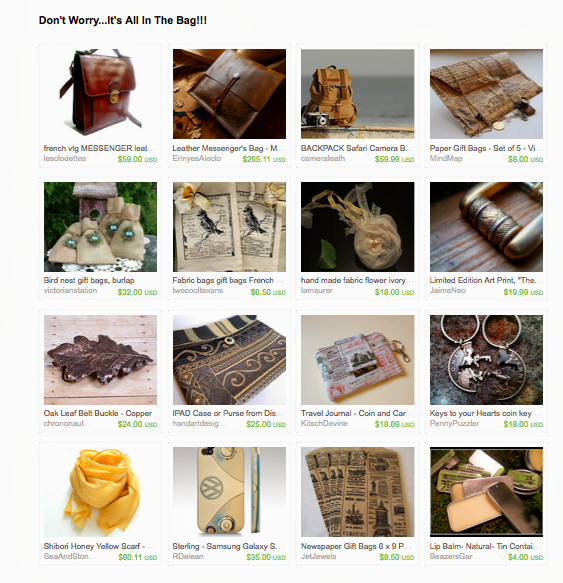 Curated by Gingerfrom JUSTJOURNALI, a shop specializing in handmade, one of a kind journals made from re-claimed leather, vintage and recycled items. Use my code & take $10 off of this great Scrapbooking Program! Here's the last one to wrap up Treasury Thursday....It's all in the Bag, with bags of all types, messenger, camera, sachet, gift bags, ipad pouches, and my lip balm...not sure how they got in there (unless it's because you can carry them in one of these great bags...) but thanks! 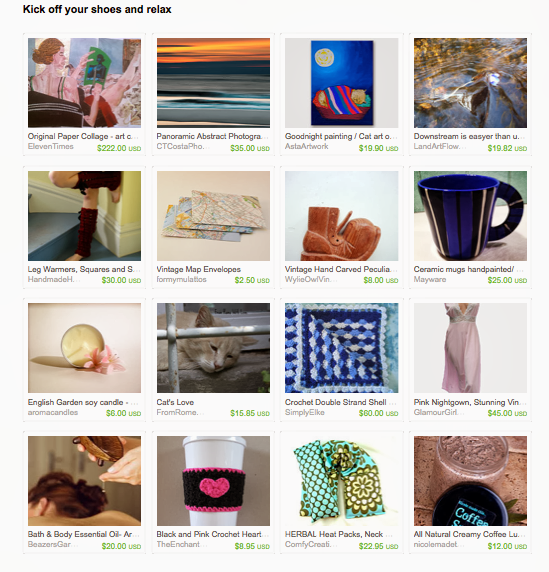 A lovely collection of items from the Top Treasury team on Etsy. 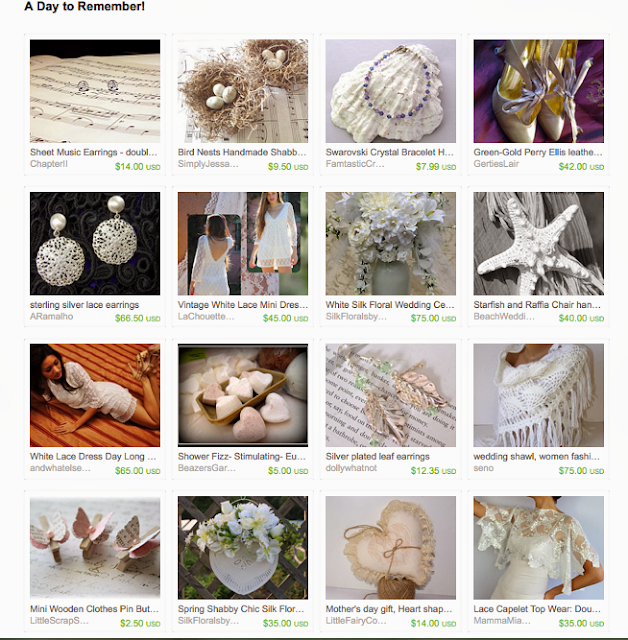 Soft whites and pinks in earrings, dresses, wedding items and other gifts including my herbal shower fizzes. Take a nice warm bath or treat yourself to a massage, using my bath & body oil, then kick up your feet , have a nice cup of tea and relax while you check out the other great items in this collection by Mel from BLPhotograph. A beautiful collection of humorous cards, necklaces, canvas bags, housewares, paintings, ceramics and other items from the Etsy Trendsetting Team. This collection was curated by Joy from BrisNanaJoy specialized in upcycled vintage and revitalized items including furniture, decor items, refurbished items, textiles, photography, china, and so much more. 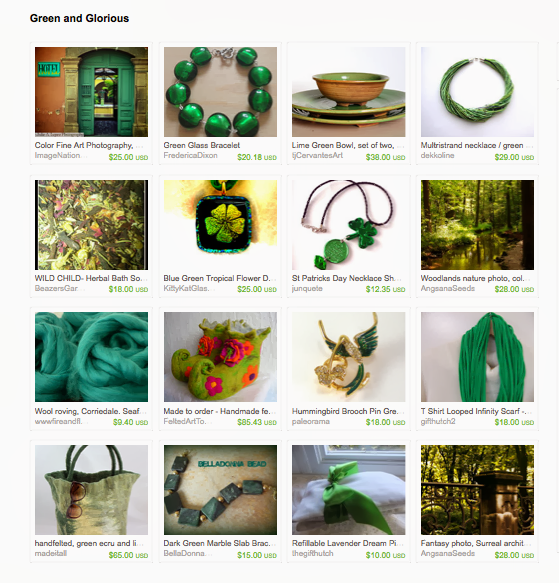 Its easy being green with items in this Etsy Treasury! Filled with photography, ceramics, jewelry, felted art and my herbal bath teas, representing the Craftoriteam! This collection is curated by Dix Cutler from DixSterling Jewelry, offering beautiful artisan pieces of textured sterling silver. Check out the shop and take advantage of this sale: First Friday Art Walk Special: FREE shipping April 4 - April 7. Coupon Code is FFAWDIX. A great collection of items to get your house in tip top shape, the natural way. 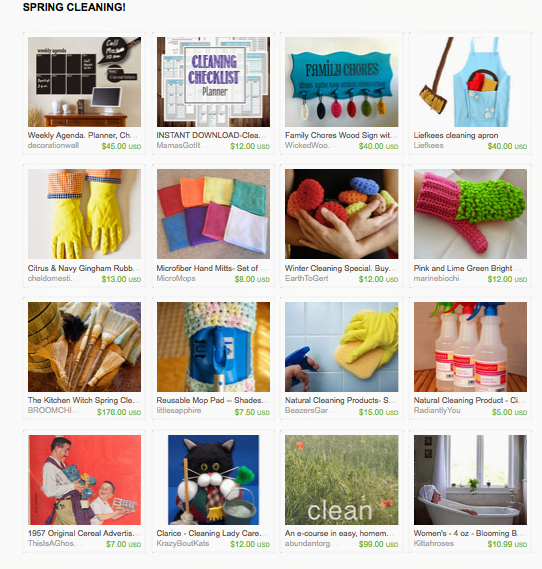 Check out my cleaning products featured among the other cool items. I love the vinyl chalk-board and colorful scrubbies! 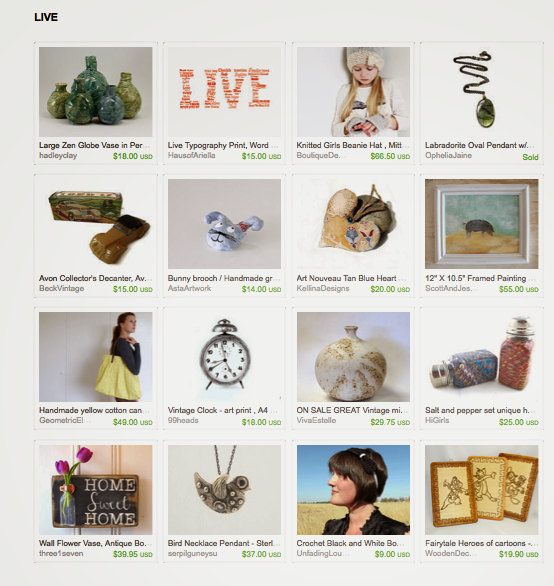 Curated by ItseeBitsee, a cute shop specializing in vintage items and handmade birdhouses! I regularly post items I like from other shops to Facebook, Pinterest, Twitter & Stumble. To show our "a-purr-ciation"... use coupon code "FAV10"
during checkout in our Etsy Shop to save 10% off your order!! 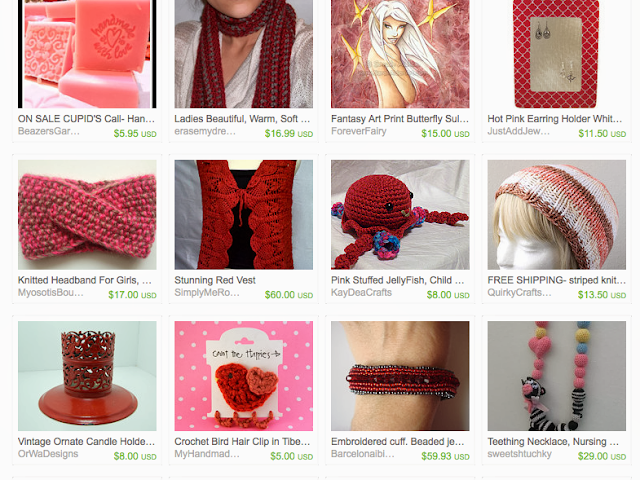 Treasury Thursday!~ Another beautiful collection of red and pink items! Another beautiful collection of red and pink items! Something for everyone from the epateam! My herbal soaps are in the first box, grab them for 10% off with code 10VIP. This collection was curated by Sabrina from Winter Rain's Artistry.You can also find her on Facebook. Stop by and tell her I sent you! I love when my items are featured! Can you find me in this collection of colorful items? By Elizabeth Warren from bethsknits and the craftoriteam. 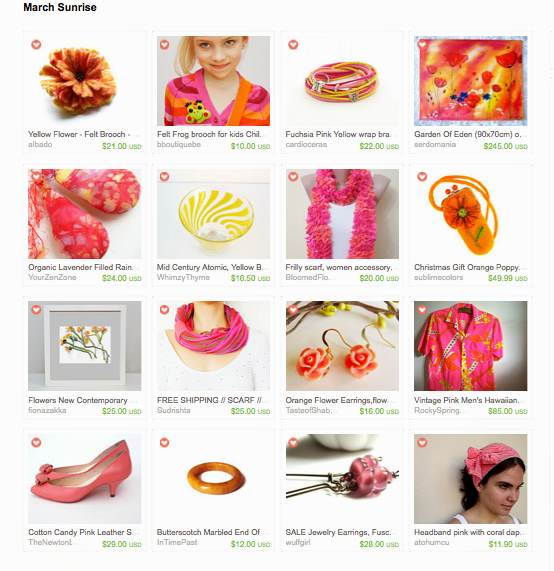 Here is a collection filled with the feeling of warm sunshine on a clear spring day! 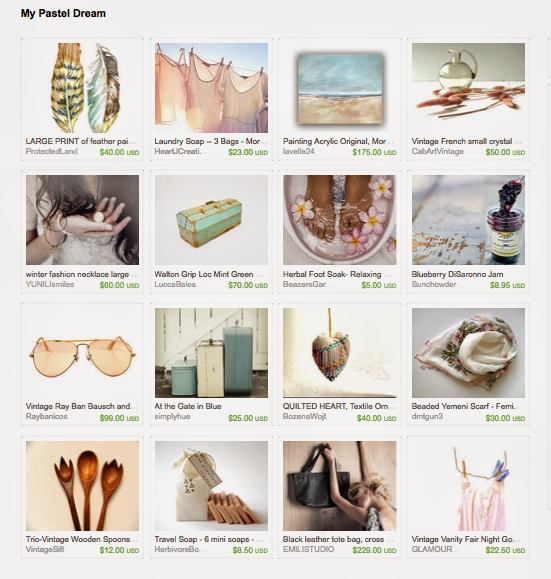 Check out the board and give some love to the items featured from the Top Treasury team. 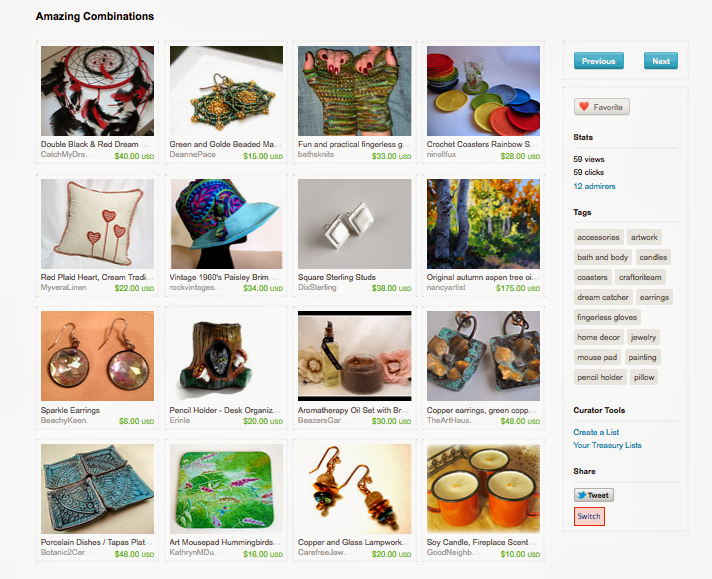 Curated by Joanne from Bling Things Originals. Visit her on Twitter and tell her I sent you. 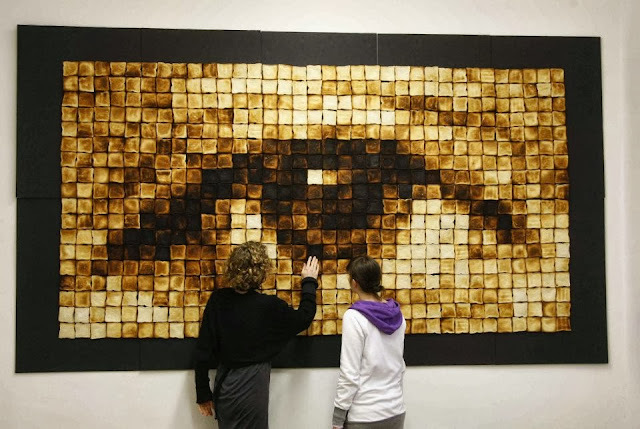 Naomi Campbell’s Eye of Horus House – By Luis de Garrido. In looking to buy natural products, what would you like to see in my shop?